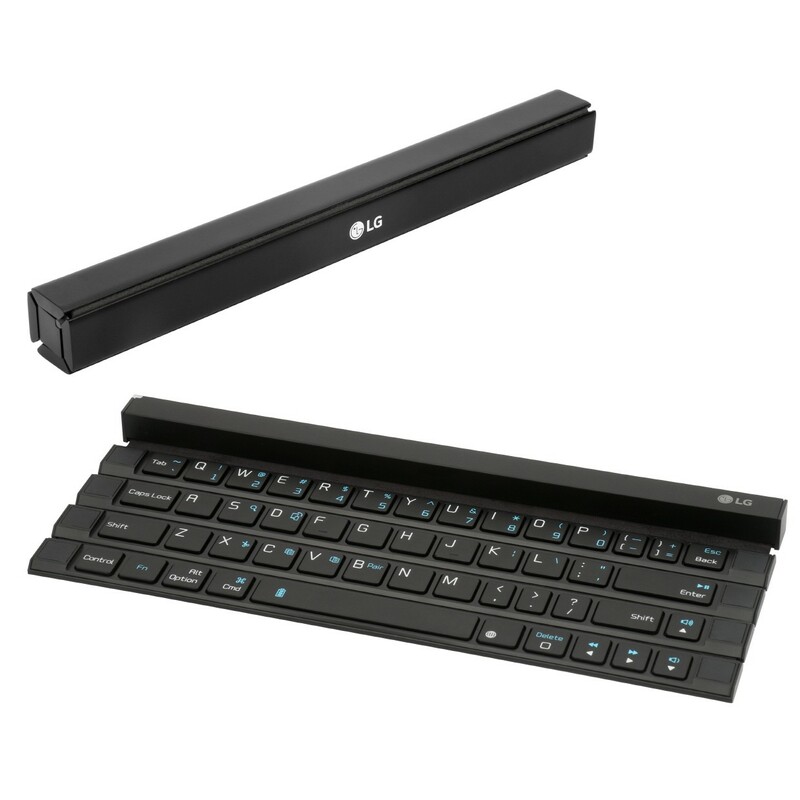 SEOUL, Aug. 27, 2015 — In an effort to capture a larger share of the fast-growing mobile accessories market, LG Electronics (LG) will unveil the industry’s first solid rollable wireless portable keyboard at IFA 2015 in Berlin, Germany. 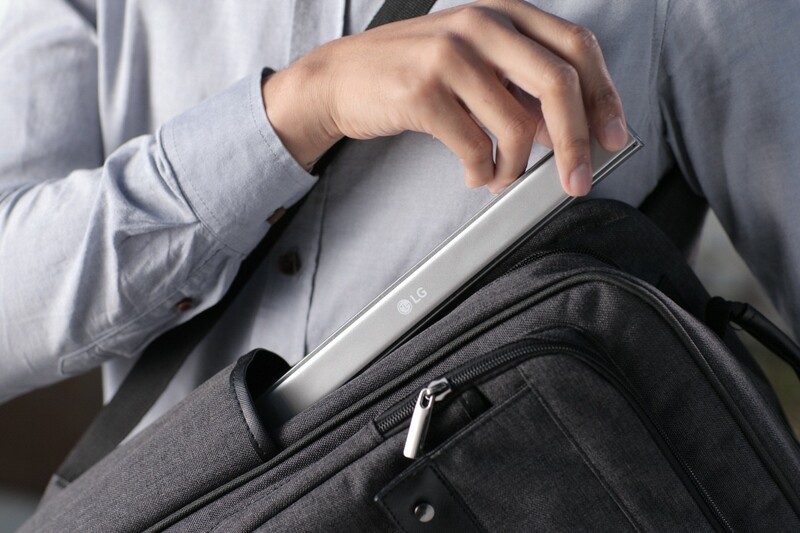 Unlike other portable keyboards on the market, LG’s Rolly Keyboard (model KBB-700) folds up along the four rows to create an easy-to-carry “stick” that fits into one’s pocket as easily as any purse or briefcase. 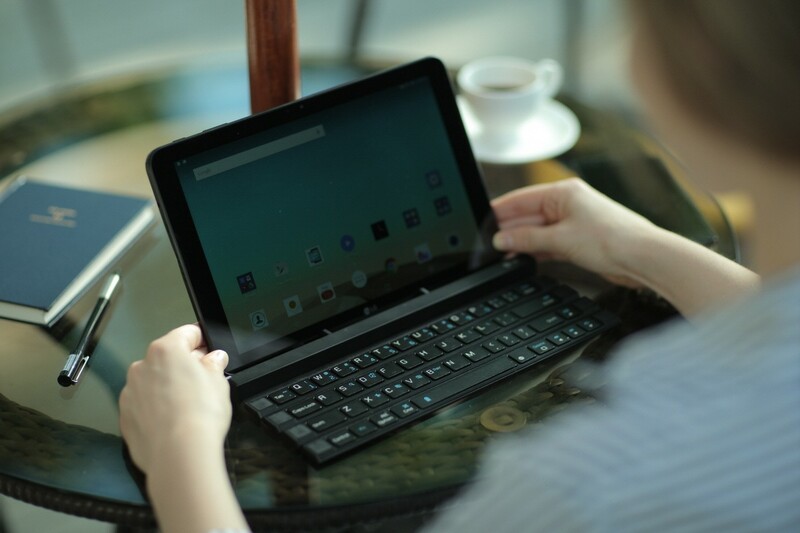 Featuring high-contrast keys and a fold-out mobile device stand, typing on Rolly Keyboard is extremely comfortable because its 17mm key pitch is nearly as generous as the 18mm key pitch found on most desktop keyboards. Made of impact-resistant and durable polycarbonate and ABS plastic, typing on the keyboard offers satisfying tactile feedback not found on flexible silicone keyboards. Two sturdy arms fold out to support smartphones as well as tablets 1 in an upright position. Simply unfolding the Rolly Keyboard enables the auto pairing function to connect easily to two different devices at the same time via Bluetooth 3.0 with the ability to toggle between the two with a simple key press. A single AAA battery powers the keyboard for up to three months of average use. 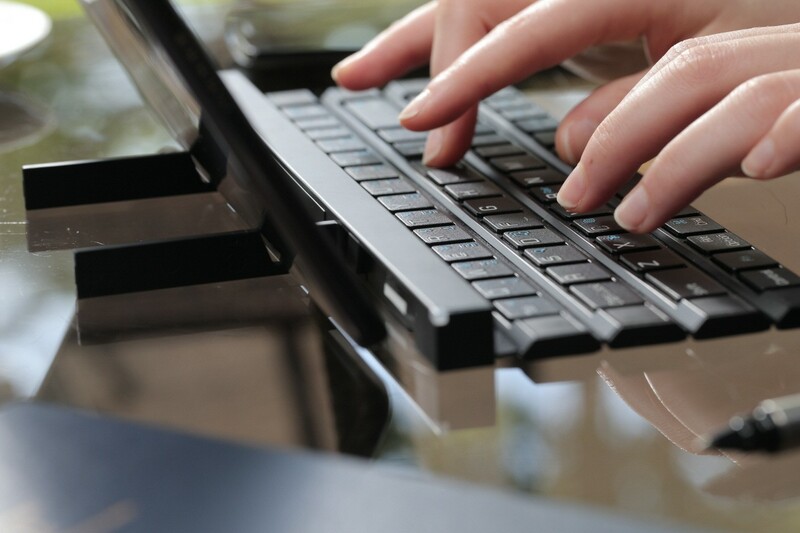 The Rolly Keyboard will make its debut in September in the United States, followed by key markets in Europe, Latin America and Asia in the fourth quarter. Prices and details of availability will be announced locally at the time of launch. 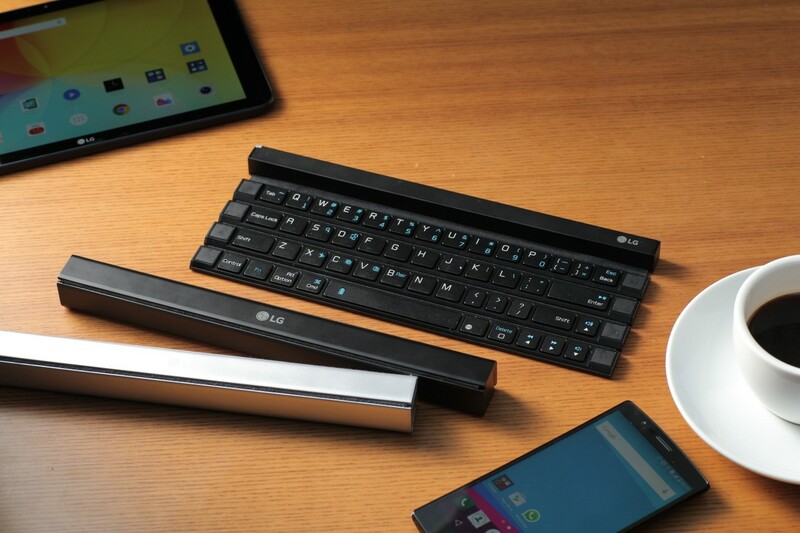 Visitors to IFA 2015 can see LG Rolly Keyboard up close in Hall 18 of Messe Berlin from September 4-9.